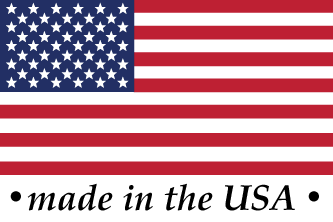 Alangator LLC takes considerable pride in the fact that all of our products are made in the USA by US military veterans. Now Add Speed and Convenience to Your .22 mag or .17 rifles! By popular demand, Alangator has created a convenient way for .22 magnum and .17 owners to also add extra magazines. Introducing the TriMagnum™. 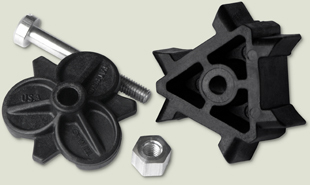 The same quality as our standard TriMag™, but specially designed for .22 & .17 users. Simply add magazines into the 3-way connector for lightening fast reloads, easier handling and improved grip. FITS: JX-1, JHX-1, JHX-2 magazines used in rifle models 10/22 Magnum, 77/17, 77/22M, 96/17, 96/22M, 22 WMR, 17 HMR, and Magnum Research magnum rifles. Special Note: 10/22 Magnum and Magnum Research customers will need to verify retailers have NEW STOCK on hand before purchase. With the updated version of TriMagnum, the packaging label specifically mentions both rifles in print. Older version/old stock TriMagnum will not fit your rifles without modification and neither rifle is listed in print! 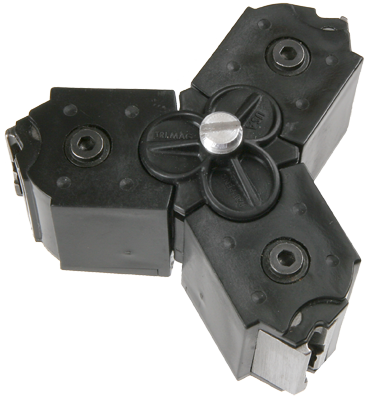 The patented TriMagnum™ design easily clamps magazines together - NO glue or adhesive required. Just use a standard screwdriver or coin to assemble/disassemble in the field or home. ADDITIONAL BENEFITS to using an Alangator TriMagnum™. eliminates the frustration of “sticky” magazine removal, an intermittent problem with Ruger rotary magazine fed rifles. enables user to quickly access three different types on ammunition preloaded in the individual magazines. doesn’t interfere with your forearm when firing as extended magazines are famous for. Bench firing is more convenient - the shooter doesn’t have to move out of position to change magazines. 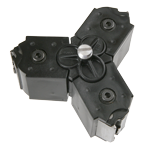 TriMagnum™ is a sales multiplier for your existing stock of Ruger magazines.